Rib collar, sleeve cuffs and bottom. 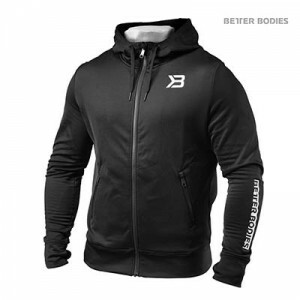 Designed and cut for an athletic physique, the Graphic Jacket has a classic bomber style look. Mid-weight, it features a knit collar, cuffs, and waistband and has a quilted black and red trim color on inner lining. 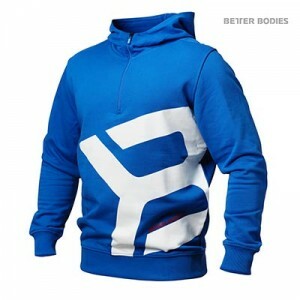 The detailed design includes a zipped side pocket at the left arm and 2 sewn rubber Better Bodies rubber badges. 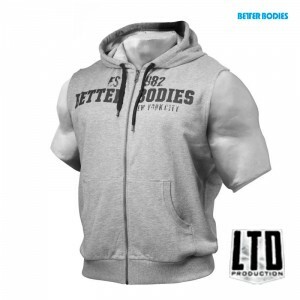 The Better Bodies logo print is screened on the back. 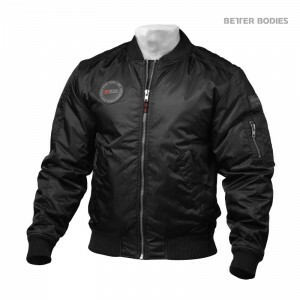 Perfect for cobranding, the inner lining has a zip opening for easy screen printing, making this the perfect jacket for groups or competition teams. Heavy drawcord with coated endings at hood and bottom to adjust width. Made of cotton, the classic style L/S Henley has metal buttons, twill fabric at the neck binding and placket and raw edges across the bottom. 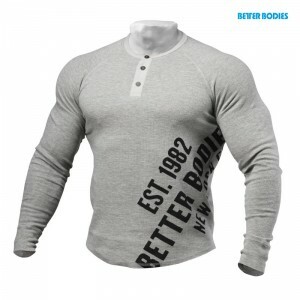 A Better Bodies print is pressed across the front and runs through to the back. A classic redesigned just for you. 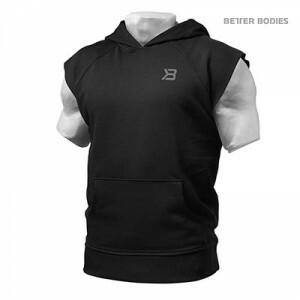 Fitted through the chest and shoulders to show off your hard work. All day comfort and versatility. 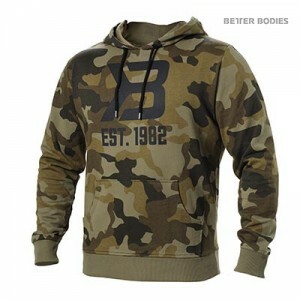 A go-to pullover hoodie. 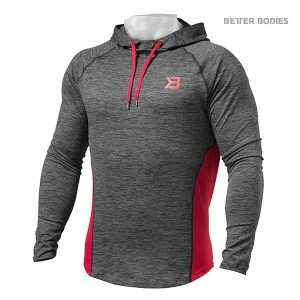 Designed to keep you dry and comfortable as you push your limits, this hoodie is tailored to fit your physique and not the masses. Made of soft and functional moisture whisking MTS 40 performance fabric. Color blocking on the sides for an enhanced V-taper. Getting ready to head out the door, but something just isn’t right? Grab the Stanton Thermal Hood to complete the look. 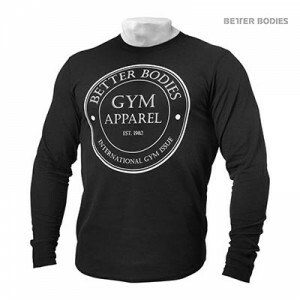 The soft to the touch feel makes this thermal comfortable regardless what you have on under it, thus making it perfect for layering. Old school fit with a new school look. 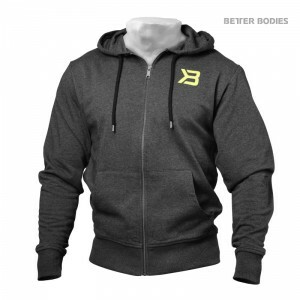 The Tribeca pullover is a classic old school hoodie with an adjustable hood. 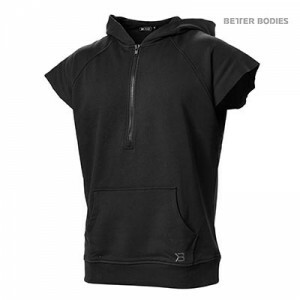 The heavier fabric and the genuine cotton feeling makes this pullover extremely comfortable. Whether you throw it on when your headed out the door or wear it when lounging around the house, we can make one guarantee. You will not want to take it off. A true must have, especially if you live in an area where it can get a little chilly. Everyday pullover thermal inspired by the industrial look and artistic feel of one of New York City’s most desireable neighborhoods.